First of all, this long-awaited movie is as awesome as it is said. There were thousands review about it so I'm not gonna make it an usual one, I'll make it straight to the point. From my high expectation, "Captain America : Civil War" absolutely exceeded it, it was a remarkably brilliant movie, the best movie Marvel has ever made. But still, beside all the praising, there were some things "improper" to be spotted on. Here we go, things I love and don't about Captain America : Civil War. 1) The characters! There were approximately 7 heroes along with Capt Rogers, 6 with Stark, 2 villains, and 2 "supporting" characters. As intense as hell. 2) Russos didn't have to go deep for introducing all new heroes (like Black Panther, Spiderman, and Giant Man) but the audience still got it well. 3) Many characters with different conflict didn't always ruin a movie. I love how this movie can stir up different spices to make a novel sauce. Checkmate BvS & Amazing Spiderman 2! 4) Stan Lee's major "Mr. Stank" cameo. 5) Giant Man's debut is amazing. 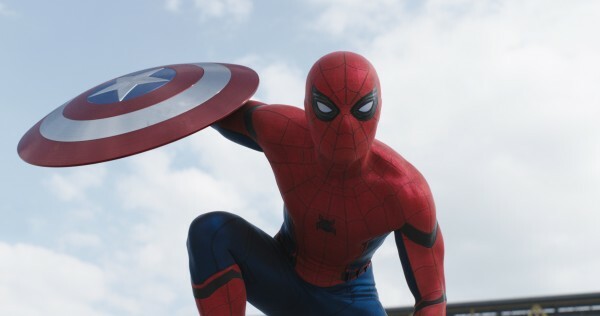 6) Tom Holland's Spiderman is the perfect one. 7) Finally, the horror of Scarlet Witch! 8) I like it when they replaced New Warrior's Nitro saga with Avenger's own reckless actions. 9) Peggy's honoring ceremony scene, it's a heartbreaking one. 10) It's only the first half of the comic's version and it's still awesome! 11) The battle at Leipzig airport!!!! 12) Falcon-Bucky-Cap bromance, they should make a spinoff about this trio. 13) Tony Stark's 2 turning points. We finally can see the lowest point of becoming an ironclad millionaire, twice. Being rich, smart, handsome, and having super suit in the same time is not easy bro. We watched him became someone else, striking things with rage, with those eyes staring sharply onto Bucky-Rogers duo. 14) Steve-Bucky breathtaking fight against Tony in second battle. 15) Winter Soldier SHOULD be our future Captain America. 16) Ultimate Marvel-ish calming tone color. 17) The humor made my day. 18) Paul Rudd and Jeremy Renner were effectively changing the mood respectively even they only took relatively little time in the movie. 19) Bucky's double characteristic. Please please please please make a standalone movie about him!! 20) Two skippable post-credit scenes. 21) They prefer to stick tight to the movie itself rather than promoting their next projects. 22) Steve-Sharon awkward kissing scene. 23) It's Martin Freeman for Everett Ross!!! Black Panther movie is gonna be interesting! 24) That Empire Strikes Back joke. 26) Tony Stark's past and the mystery behind his parents' death. 27) Antman-Falcon collaboration to unplug Ironman's suit system. 28) Tony Stark was as surprised as audience when watching everyone do surprise tricks. 30) It's funny to see Hawkeye got old. Finally someone in this universe got old. 1) Crossbones is dead? Absolutely not making any sense, he should be the one who makes this movie be more heartbreaking. 2) It's okay to not go deep for introducing the heroes, but there were no extended information about what excactly Wakanda is. Maybe they saved it for standalone Black Panther movie. 3) "Who is Zemo?". The information about Zemo apparently is too little. Okay, we know that Avengers destroyed his life by accidentally killing his families, but I think that mediocre motive wasn't enough for him to make such a huge mission : "To make an empire fall". 4) Maybe they should put Ray Sahetapy's scenes back into the movie to strengthen the Zemo thing. 5) Wanda-Vision romantic chemistry wasn't really there. 6) It was too easy for Stark and UN to find Zemo as the man behind all of this. Man.... Zemo and Crossbones should give The Avengers more direct damage to puzzle up the plot even further (Should blame it on their own massive marketing, It set my expectation tho). 7) The ending was something anticlimax. Crossbones should be the center of the alternative ending. Clearly, final 15-20 action scenes was badass, but it should be more than that. Like they've forgotten about putting the concluding matter that would give Civil War a proper ending : devastating catastrophe. 8) Prison-42 awesome model was such a waste. 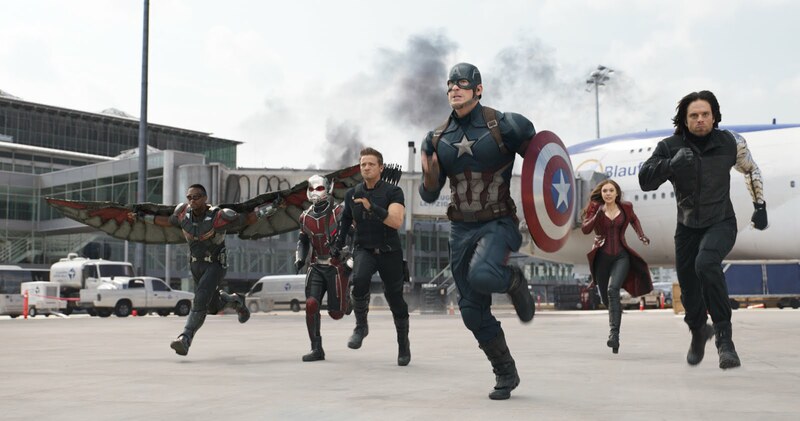 Overall, I am gladly make Captain America : Civil War to be my new favorite Marvel movie. It wasn't disappointing for comic lovers and it was a really amazing movie. Still, some questions were needed to be answered in their next project. But, like it or not, this movie is obviously a history-changing movie. How a movie with many "stars" and complex conflicts still could make it to such an elegant plot. Bravo, Marvel! 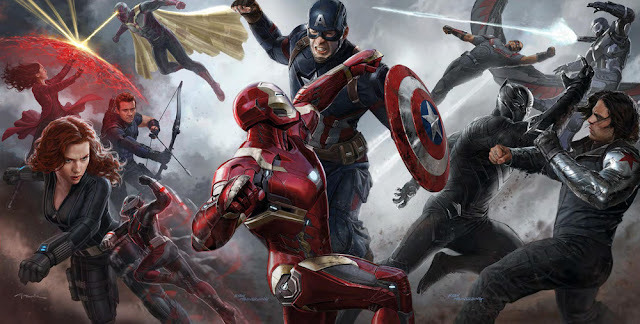 I am still hoping that they would make the second Civil War movie.